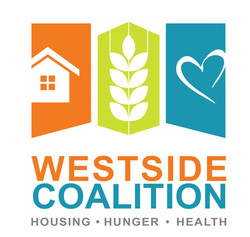 The Westside Coalition is an alliance of 55 organizations, public agencies and faith communities committed to working collaboratively on issues of housing, hunger and health through service coordination, public education and advocacy. WC is a non-profit volunteer organization that operates under the fiscal management of Community Partners. The coalition was founded in 1982 to serve the Westside of Los Angeles County and are the oldest coalition in the county working on behalf of the poor and homeless. Since that time the Westside Coalition (Formerly the Westside Shelter & Hunger Coalition) merged with the Westside Health Coalition. Throughout its history, the Westside Coalition has proven to be an effective tool in providing high-quality programs and services for those in need in our community. Would you like to receive emails from the Westside Coalition? The Westside Coalition meets every third Thursday at Mt. Olive Lutheran Church in Santa Monica: 1343 Ocean Park Blvd, Santa Monica, CA 90405. All are welcome, you don't need to be a member to visit the meeting. (And Online Auction) Again This Year! Support the work of the Westside Coalition and have a great time doing it! We are holding our annual Lawn Bowlathon fundraiser and online auction again this year on May 31st at the Santa Monica Lawn Bowls Club. You don't have to know how to Lawn Bowl to join in on the fun! The professionals at the Club give training and coaching on the spot. We would love to see you on the field! The link to the Auction will be up shortly! My name is Anthony Guerra. I was born the second of thirteen children and raised in a house with no father, in an environment infested with drugs and criminal activity, and where gang violence was an everyday narrative. In order to escape that life, I enlisted in the army, where I served for eight years, including active combat. After discharge, I struggled with PTSD, and had continued trouble processing my childhood trauma. By the age of 48, I had spent half of my life behind bars. The other half had been spent running the streets, not having a home, being addicted to drugs, and living by any means necessary. I lost my family, my home and my life. It wasn’t until I entered the CLARE foundation that my life began to change. While at CLARE, I was sent to Chrysalis, an employment services program. I didn’t think I could get a job; I had an extensive criminal record and limited work experience. With the endless support of Chrysalis, I was able to build on my skillset, find my passion, and was motivated to change my life not only for myself, but also for my children. I have now immersed myself in recovery and currently work as a drug and alcohol counselor at the Clare Foundation. I am happily married and raising my son who just celebrated his first birthday. I currently attend West Los Angeles College and am working on a degree in Addiction Studies. I am finally able to give back what was given to me: a fresh start and a second chance.